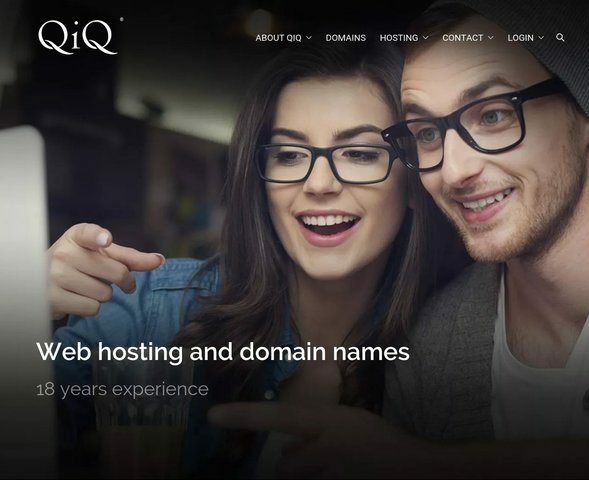 QiQ have been helping individuals and businesses large and small come to life online since 1998. Through simple order processes, up-to-date technology and great support our goal is simple – to help customers delight their web visitors. 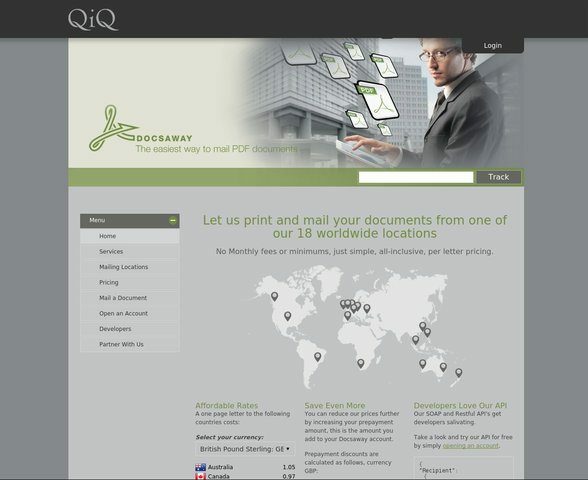 QiQ’s Docsaway service enables users to mail PDF documents from a number of global locations. Users can generate correspondence from the comfort of their PC or by integrating via a comprehensive API tools set. 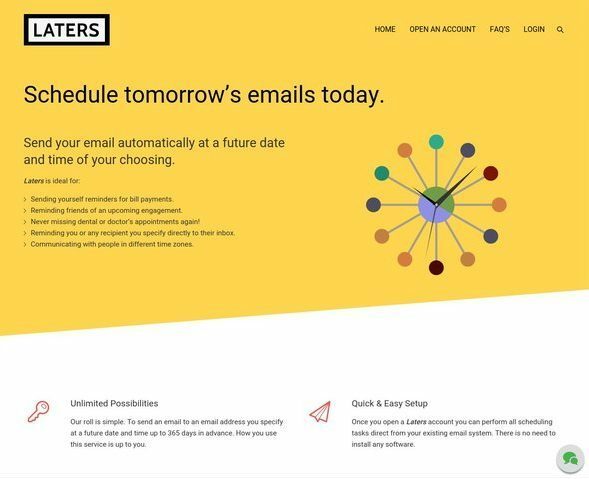 QiQ’s laters service lets users send emails, SMS’s, Facebook posts and Tweets automatically at a future date and time of their choosing.